KPCB partner Mary Meeker usually publishes her famed Internet Trends report once a year. She’s an American venture capitalist and former Wall Street securities analyst. The work that she does is primarily associated with the Internet. Meeker became known as “Queen of the Net” after being dubbed so by Barron’s Magazine in 1998. So for last year she did this great Internet update presentation again. 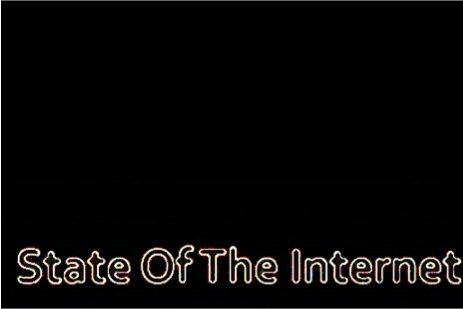 It’s a must read for everyone in the Internet industry and marketing professionals to understand where the Internet stands and to see visualized how fast developments progress. The amount of information in her presentation is so vast, that you need to take some time to digest, I made a selection from here slides, mainly from the beginning of the presentation. The second part is more about the re-imagination of many parts of our lives, such as the re-imagination of books, telephones, learning and what more. Many slides are about the mobile trends, such as the one below. With the advent of tablets and smartphones the global mobile traffic grew rapidly. The return of all this mobile traffic and Internet usage? A whopping 19 billion dollar revenue. This is one of her “re-imagination” slide. Great data visual to show how the operating systems evolved. Another “re-imagination” slide is about the print-developments and how fast Wikipedia overtook. And last but not least the re-imagination of data, namely Big Data. 8000 zettabytes to be expacted in 2015!